So in between getting ready for and having a garage sale, going on vacation with my wonderful hubby and getting back to the real world, I have been stitching. In fact, I had a finish! 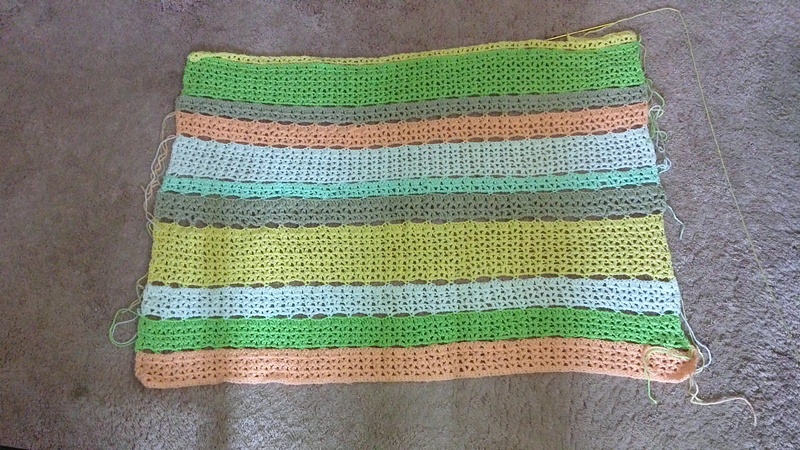 I have also made some progress on my crochet baby blanket. Not sure I am liking how the pattern connects the rows. The holes seem a bit large. I keep imagining a baby’s foot pushing right through, LOL. I will continue on, though. Here it is so far. It is nice to work on while in the car or when I have a few minutes here and there. And it is getting me reacquainted with crocheting. 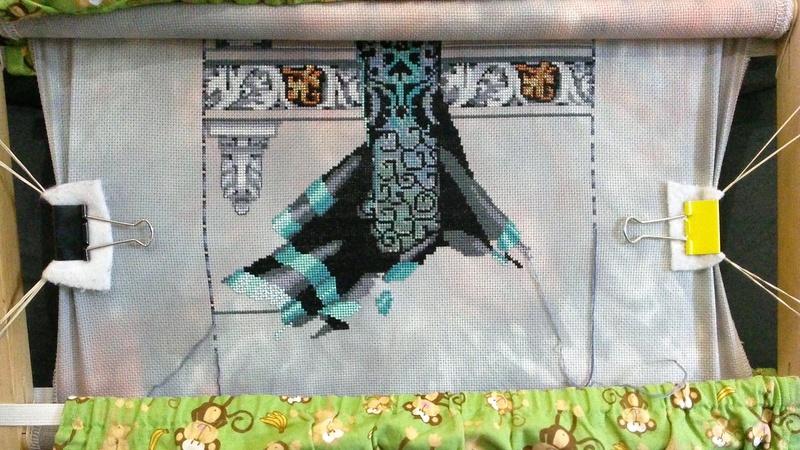 I have also made great progress on Mirabilia’s Raven Queen. She really is a wonderful stitch. 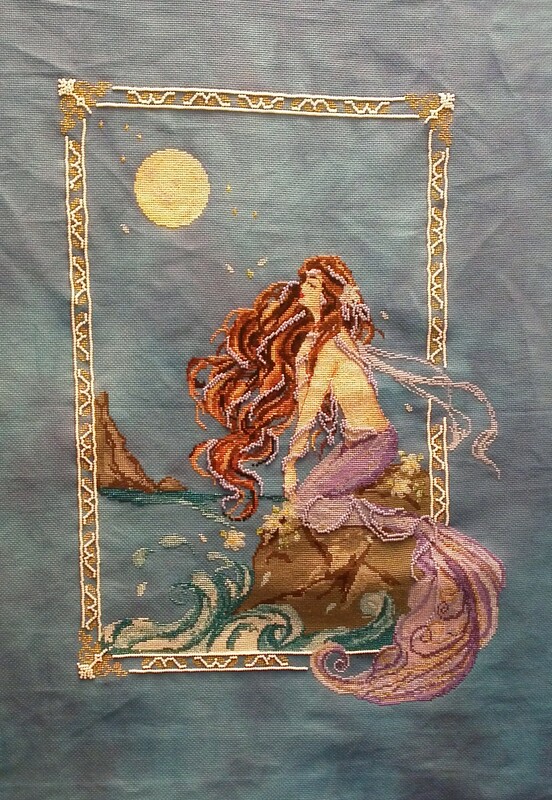 I am enjoying every stitch of her. So relaxing. But I can’t wait to see her sweet face appear. So that is what I have been spending my time stitching on. What have you been working on lately?